Even if your bathroom is a chokey-sized afterthought. 1. Air-tight apothecary jars to tidy up your sink explosion of hair ties, bobby pins, soap, razors, makeup, and more. Promising review: "I got a vanity for Christmas and bought these as cute accessories. I use one for Q-tips, one for cotton balls, and one for wraps to soak off gel nails. They look very classy." —Samantha B. Get the set of three on Amazon for $24.87. 2. 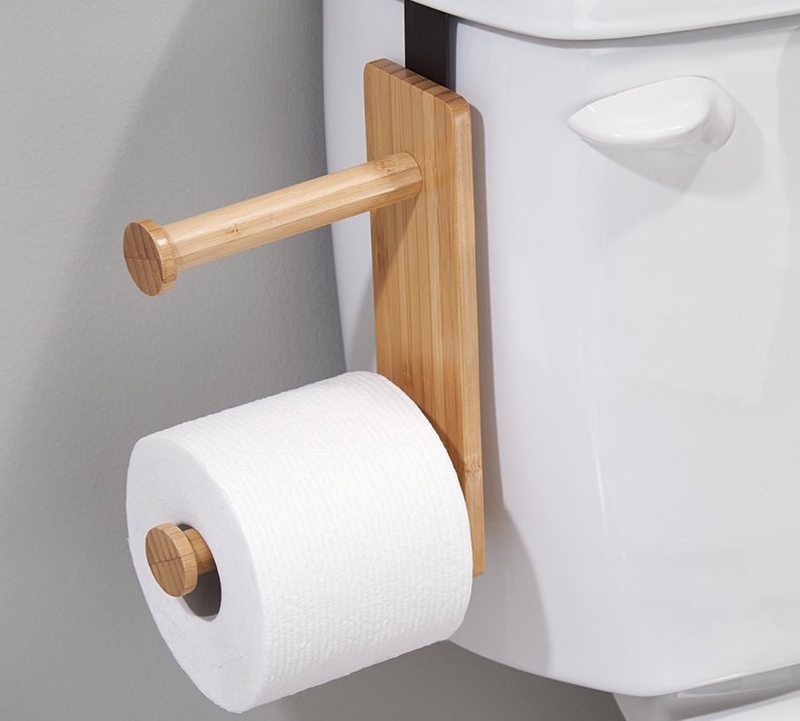 Over-the-toilet shelving for optimizing storage space in small bathrooms. Get it at Wayfair for $19.99. 3. A complete set of matching bath and hand towels to replace the gym and beach towel you've been using. 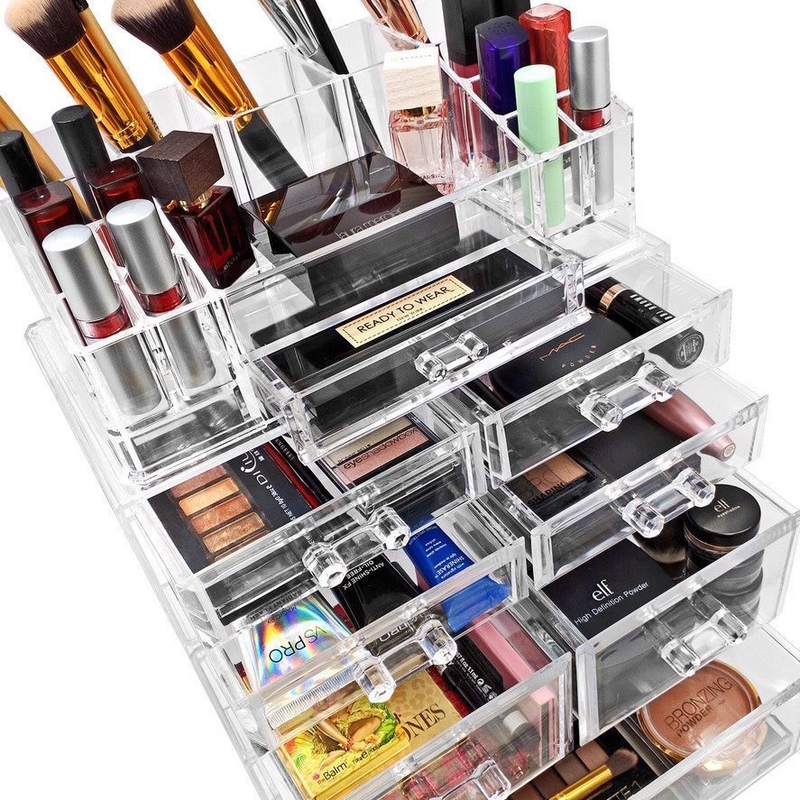 Get the eight-piece set on Amazon for $33.31. Available in 11 colors. 4. 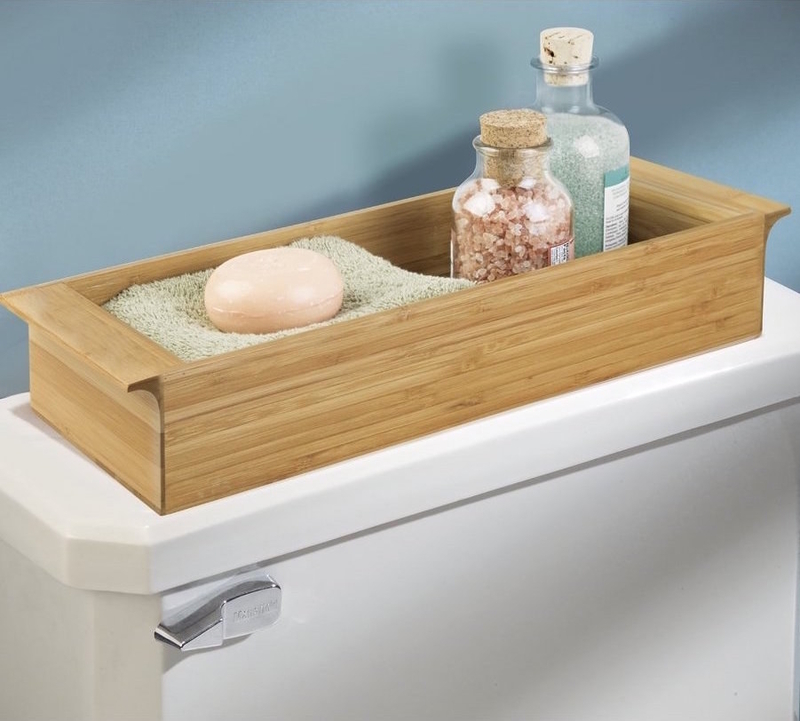 An expandable bamboo bathtub tray that'll keep your relaxation essentials all in one place. Get it from Amazon for $35.29. Also available in walnut. 5. 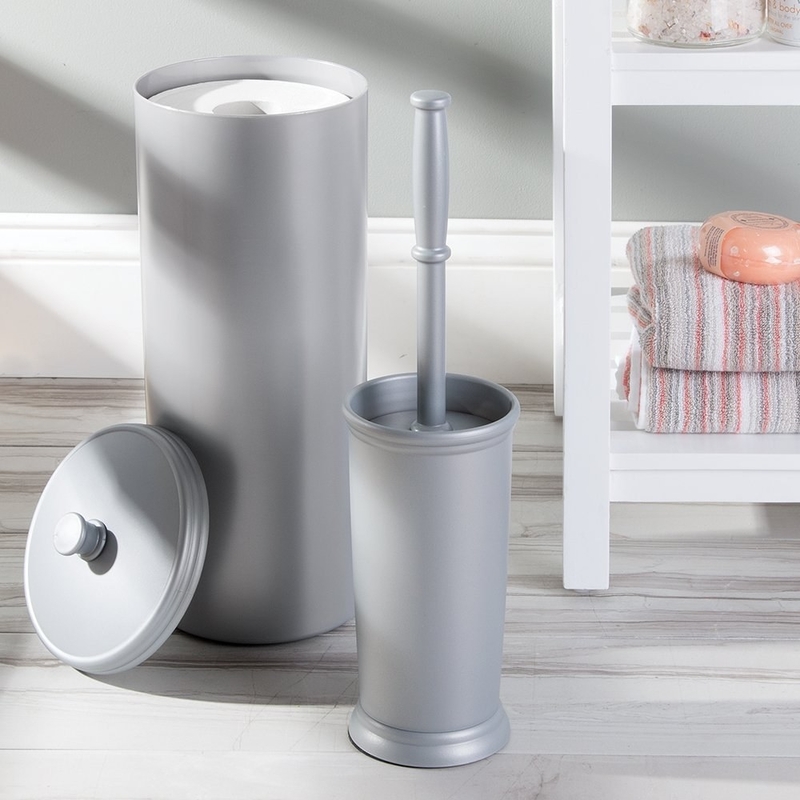 A 3-piece toilet paper holder, brush stand, and waste basket set to organize eyesores. 6. A toothbrush holder that isn't a faded plastic Teenage Mutant Ninja Turtles cup. Get it on Amazon for $10.99. 7. A fold-out drying rack for wet towels or hang-dry clothes. Get it from Not on the High Street for $190.92. Available in two colors and two sizes. Check out additional drying rack options from Wayfair here. 8. A little lotus jar to wrangle cotton swabs. Get it on Amazon for $7.99. Also available in white, pink, green, wooden, and black. 9. 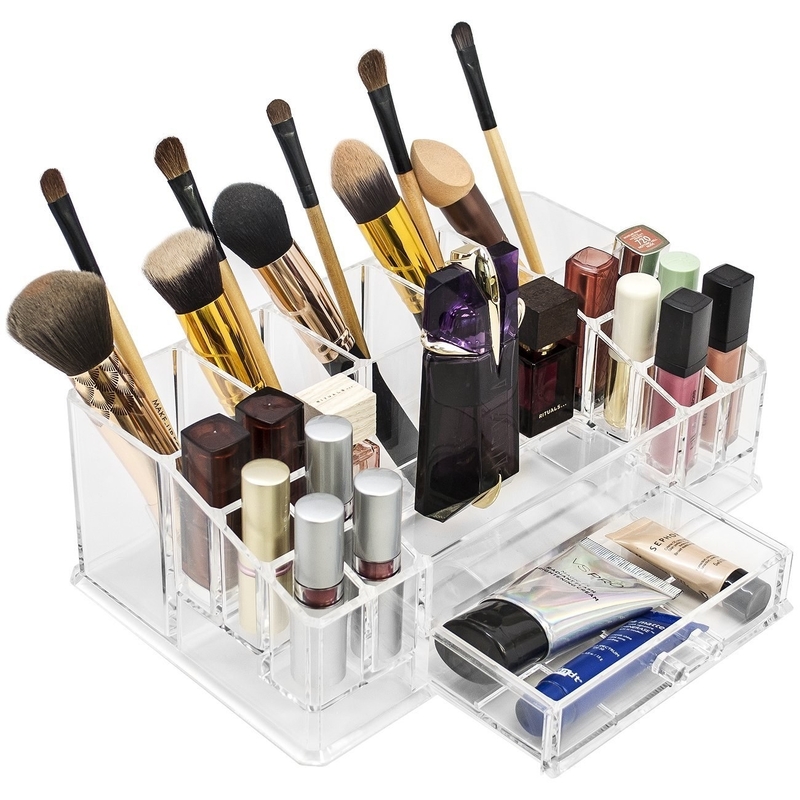 Cult-favorite acrylic makeup organizers that give a clean, modern, organized look to vanities and countertops. Get them on Amazon for $12.99-$47.99. Available in nine sizes. 10. 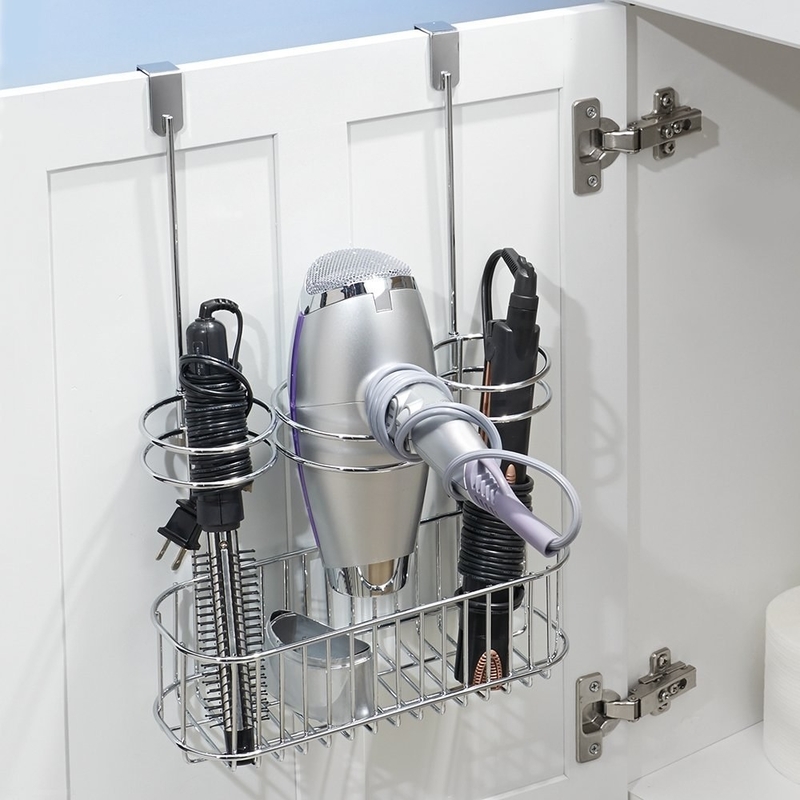 A wall-mounted or over-the-cabinet hair tool holder to clear up surface space. Get the wall-mounted shelf ($23.99) and over-the-door holder ($19.99) on Amazon. 11. A trio of over-the-door baskets for hanging toiletries and hand towels when there's no floor space left for furniture. Get it on Amazon for $42.88+. Available in two colors. 12. 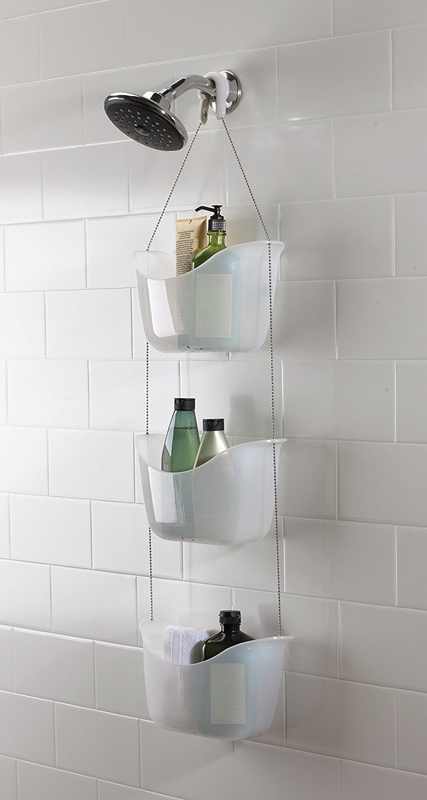 A caddy that keeps your soap and hair products from cluttering bath ledges. 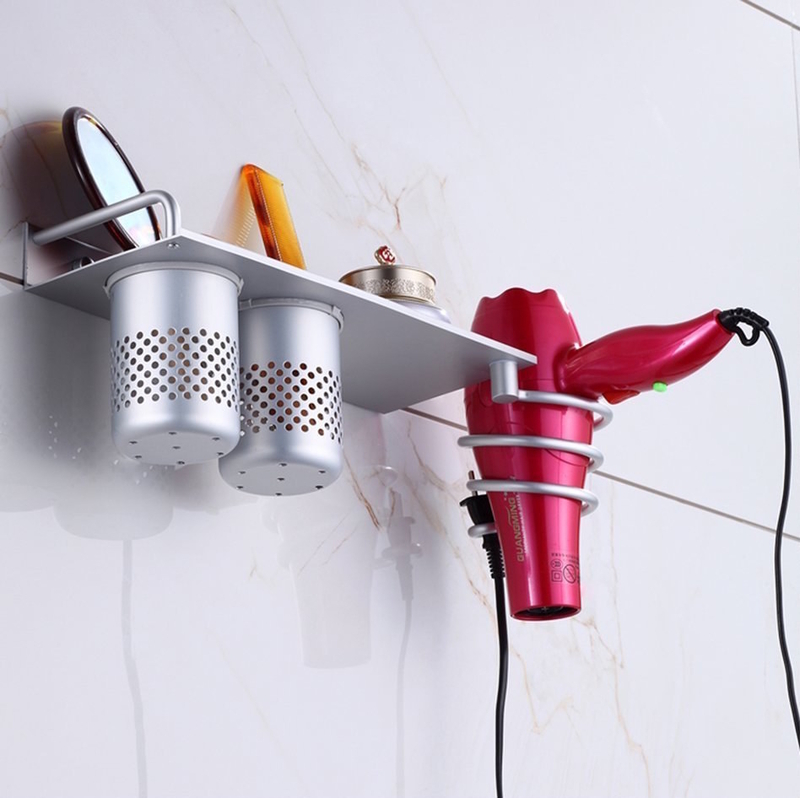 Get the tension rod caddy for $49.99 and the shower head caddy for $19, both on Amazon. Check out over-the-door caddies for showers with sliding doors. 13. 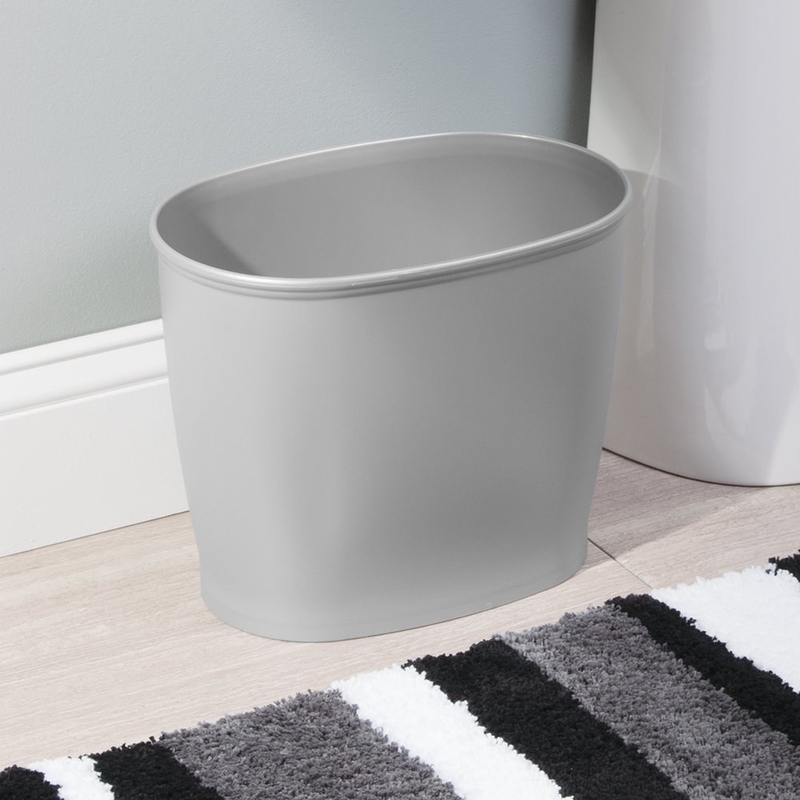 A gorgeous, minimal side table for your toilet or claw-foot tub. Get it from Amazon for $78. 14. Shelving, so TP and Poo-Pourri are never out of reach. Get it on Amazon for $39.99. 15. 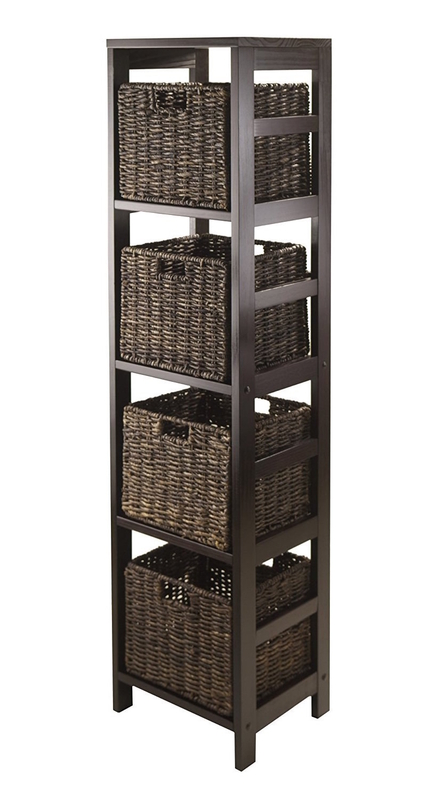 ...or a tower of metal market baskets as a cute shelving alternative. Get it on Amazon for $53.49. 16. A Pinterest-perfect, rustic bathroom accessories set that does all the decor coordinating for you. Get it from Hayneedle for $126.09. 17. A medicine cabinet to add polish and dimension. Get it from Lowe's for $44.98. Available in three colors. 18. This genius under-the-sink shelf that accommodates unwieldy plumbing. Get it on Amazon for $24.87. 19. A soap dish to keep your bar soap from sliding around or leaving a slime trail of residue. Get it on Amazon for $6.56+. Available in three colors. 20. A hamper for dirty clothes and towels. Get it from Ikea for $39.99. 21. 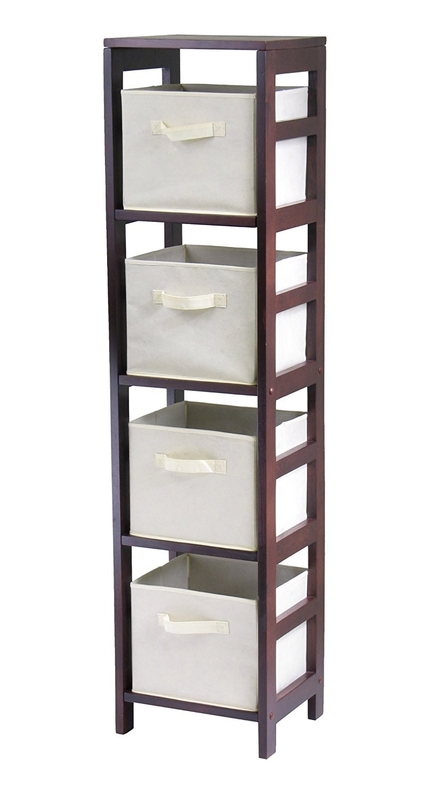 A sturdy, vertical shelving unit you can use for display, storage, or both. Get them on Amazon for $64.12+. Available in two frame colors and four basket colors (or without baskets). 22. And a bamboo paper holder and basket that make a multi-tasker out of your tank. Get the paper holder for $10.99 and the basket for $12.99, both on Amazon. Matching bamboo shower caddy, brush holder and trash can combo, and floor mat also available. Oh, the bathroom your bathroom could be.